Here, I am incrementing each cell by 11 rows manually. 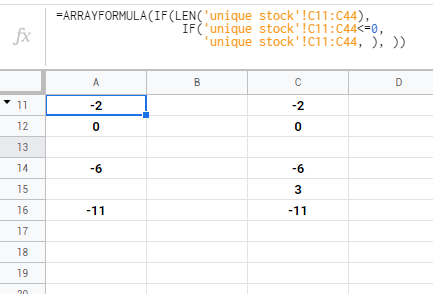 Please tell me if there is any way to increment rows by 11 dynamically for each cell. You just need to substitute it into your equation. I am not sure if Google Sheets performs the function in the same manner as excel.